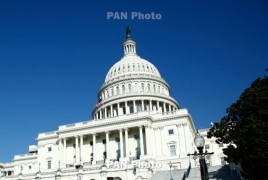 PanARMENIAN.Net - The Armenian National Committee of America - Western Region announced this week its endorsement of California Senate Pro-Tem Kevin de León for U.S. Senate. De León, a Democrat from California is challenging Dianne Feinstein, who has held the position since 1992. De León announced his bid in mid October when he kicked off a rally at the Los Angeles Trade Technical College with numerous supporters. “Throughout his political career, Kevin de León has been a true friend of the Armenian community, supporting many of our efforts and listening closely to our concerns. Just as he earned the Legislator of the Year award in 2014, he has also earned our endorsement in his bid for U.S. Senate, and we look forward to continuing our constructive relationship with him on the road to Washington,” said ANCA-WR Chair Nora Hovsepian. At his rally in October, de León explained the complexities of the current political climate and promised to challenge the Washington establishment if he were elected. De León has been a steadfast supporter of Armenian-American issues in the California legislature since his early days at the California State Assembly. His work only continued during his tenure at the state Senate where he’s worked to recognize and commemorate the Armenian Genocide every year and was monumental in establishing support for legislation that recognized the independence and right to self-determination of the people of Artsakh.